Observation - Yellowhammer - Farmland - UK and Ireland. Description: This yellowhammer was singing a lovely song in the hedge between some farmer's fields. A very lucky photo!! 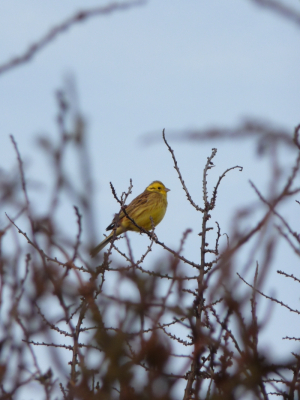 This yellowhammer was singing a lovely song in the hedge between some farmer's fields. A very lucky photo! !